As a business today, having a powerful online presence is critical to success. Whether you’re just getting off the ground or you’re honing your online skills to grow into the future, the right Sydney SEO company will be your best ally. With the right approach to Internet marketing strategies, your organisation can connect with customers and boost revenue. In the realm of Internet marketing, social media networks are quickly becoming king. Facebook, Twitter, and other networks must be included in your marketing plan in order to reach target customers with ease. Your Sydney SEO experts will address your social media strategy with a multifaceted approach that will yield the best results. As you launch your social media strategy, it’s important to understand which network(s) your target customers use. To optimise your marketing plan, you’ll want to launch social media marketing strategies on the key networks that include your target market. Another great way of finding success in the realm of social media networks is by monitoring the competition. Expert Sydney SEO companies will analyse the competition in order to develop a powerful SEO plan for your business. Find out which social sites they use, what types of content they publish on the web, and how they promote products/services. Keep customers engaged by offering social media exclusives. Promotions, discounts, and other deals can be offered exclusively to social media users, which will keep target customers coming back to your business. 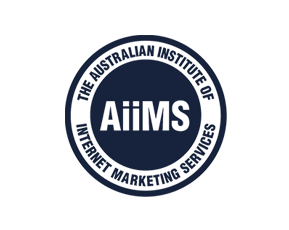 Your best weapon in launching a successful social media marketing plan will be the best Sydney SEO company. Smart SEO is the leading Smart Agency in the area, offering an array of Search Engine Optimisation and Internet marketing services. When you’re ready to launch a successful social media strategy, let Smart SEO help. This entry was posted in Social Media and tagged SEO Tips, Social Media, Social Media Success, Social Media Tips, Sydney SEO Experts. Bookmark the permalink.